Will you allow industry practices to be deployed in Sussex and the rest of The Weald that will pollute air, waste vast quantities of water, cause constant noise pollution, over-stress our roads, industrialise our countryside, devalue our homes and could irreversibly contaminate our water supplies? What is Fracking & Acidising? Hydraulic fracturing or 'fracking' refers to the procedure of creating fractures in rock formations by drilling and then injecting a mixture of water, sand and highly toxic chemicals into cracks at high pressure to force them further open and release the gas. Acidising is a little more complex and uses much higher concentrations of chemicals than fracking. It involves injecting solutions of acids along with other chemicals to create passageways through the rock along which oil or gas can flow. About 32,000 square miles of Britain are believed to have potential for shale development, with the biggest concentrations of wells expected to be in Lancashire, Yorkshire and the Sussex & Surrey Weald. How will it affect Sussex? Sussex continues to be on the front line in the fight against fracking, acidisation and unconventional oil and gas extraction. People, from all walks of life, are coming together, with raised awareness of the dangers of these extreme forms of energy extraction to take a stand against profit hungry oil and gas companies. Because of our local geology we are faced with the threat of thousands of oil and gas wells being drilled across the Sussex Weald. 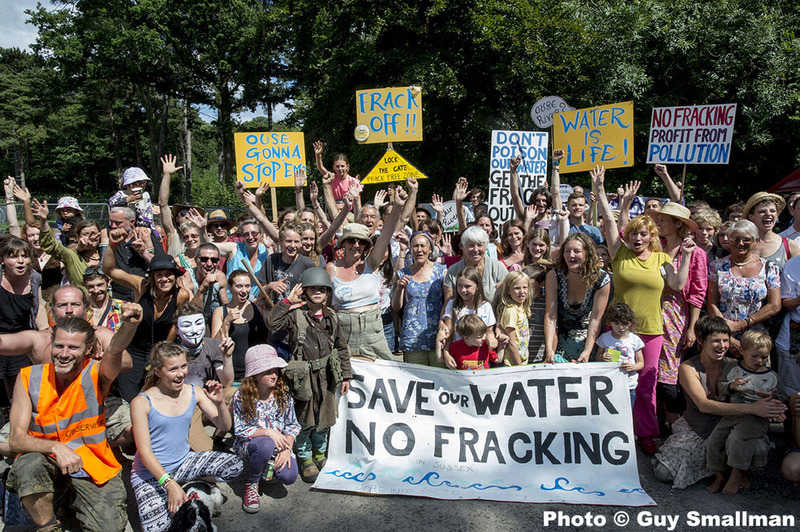 The battle to protect our water began in Balcombe, but it is bigger than Balcombe. This issue affects ALL OF US! We need you. We need your support, your knowledge and your talents to help stop this dangerous industry. This site aims to provide guidance on what you can do locally and nationally. The first step is awareness. Research and spread the word. Get involved with your local group and protest peacefully. 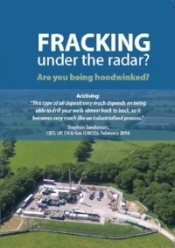 Talk and write to your MP about fracking AND acidisation. Object to planning applications and ensure you scrutinise the activities of the oil and gas industry. Not fracking, they say? Just conventional? Dig deeper! Take the long view. Today’s ‘stimulation’ is tomorrow’s destruction of the beautiful landscape of Sussex and the Weald. It’s our landscape, and we’ve a right to feel emotional about it. NOW is the time for action! Please join the MAILING LIST by completing the form below. Please join our facebook community page for continuous updates. Oil in the Weald What's Happening Under Your Feet ? UKOG is on a charm offensive. But that's just one side of the story about oil exploration across 1,200 square miles of the Weald. What better way to make a small contribution to the cause? We have produced a fabulous CD with 20 tracks by some of Sussex's best artists! A short film about fracking, and the current 'front line' in the UK at Preston New Road, Lancashire, where campaigners have turned to protest after every democratic win has been overturned by a government packed with fossil-fuel shareholders and corporate lobbyists.